Mention the name Enjoué and you’d probably get eye rolls and cynical remarks. But here’s the thing—Enjoué Bakery at Joo Chiat Road is the original Enjoué, but in recent times, it has been misrepresented and more often than not misunderstood for being the infamous cakes and dessert table company. That Enjoué is now operating and known as Euphorique Bakery, but there is still a confusion between the two. 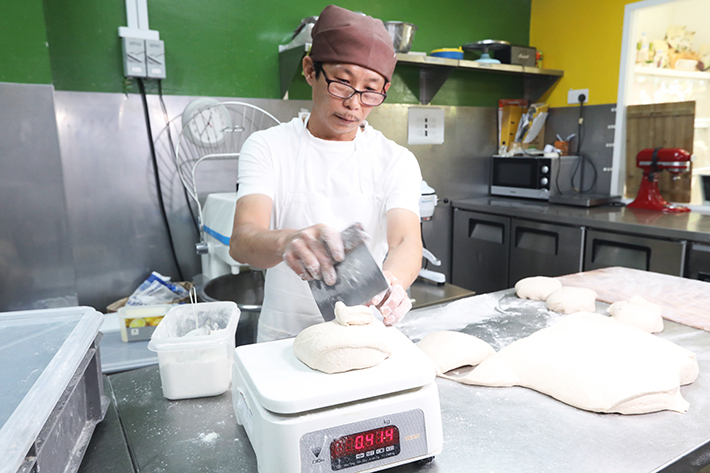 The distinguishment is simple: Enjoué Bakery is a properly registered company with a shopfront at Joo Chiat Road, and they specialise in quality European artisanal bakes; while Euphorique Bakery is… Euphorique Bakery. The latter leaves much to be desired with their endless scandals and sagas. We’ll leave you to decide if Euphorique Bakery is worth the time, but for us, we’d very much prefer to stick to the original Enjoué Bakery who is, by no means, affiliated to Euphorique at all. Enjoué Bakery works with numerous high-end restaurants and F&B brands across the country with notable names including the likes of Black Hole Group—the ones behind Working Title, The Mad Sailors, The Great Mischief & Santap—Bayswater Kitchen by Privé, Redtail by Zouk, Burgernomics and more. The secret behind their bakes lies in organic flour and their starter dough, which for the uninitiated, is what many bakers rely on to make incredible naturally leavened bread. It is a fermented substance that consists of flour, water, salt and a lot of patience and is what’s responsible for kickstarting the fermentation process necessary for preparing tasty bread. No preservatives, unnatural ingredients, or artificial enhancers and food colourings are used in any of their bakery offerings. Granted that the average shelf life of their products is shortened without preservatives, what you can expect is a much healthier (and tastier) option to regular store-bought bread. You can look forward to classic breads including rye, pain aux céréales, Flaxseed Rye as well as gluten-free breads which are diabetic friendly and low in GI. Enjoué Bakery prides themselves with using their own house-cultivated starter dough that has been with them for several years now. Bread made from natural sourdough starter has a distinctive aroma and subtle sour tinge at the end of the palate. The result of using a start dough instead of conventional yeast? A much chewier, crustier and more flavourful loaf—perfect as a meal-time accompaniment or even as a snack on its own. 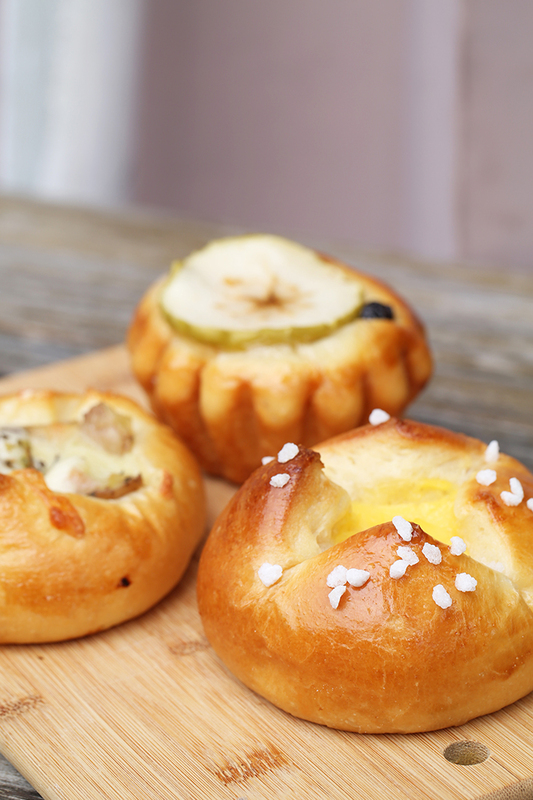 Besides artisanal sourdough and rye bread, they also specialise in a wide array of sweet buns. We particularly like their Apple Cinnamon Brioche that boasts a sugary glazed apple atop a sweet, buttery brioche. A great accompaniment to an afternoon tea or coffee and an irresistible treat for those with a sweet tooth, Enjoué’s range of sweet bakes are sure to delight the palate as well. 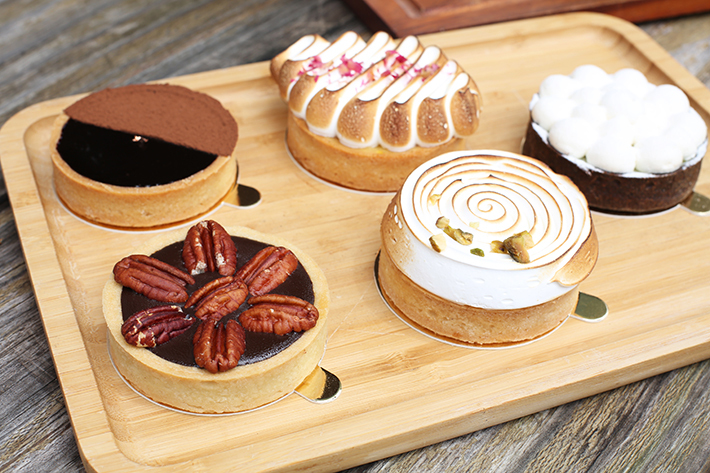 From luscious tarts to decadent cakes, their premium flavours are highly profiled and guaranteed to hit the right spot. Who needs a fancy patisserie when you can get just as indulgent a treat from this humble bakery? A sandwich is only as good as the bread that holds everything together, which makes us all the more thankful that Enjoué Bakery also makes their own sandwiches. Perfect as a quick and hassle-free meal on-the-go, their gourmet sandwiches come packed with quality meat fillings and an abundance of fresh greens. 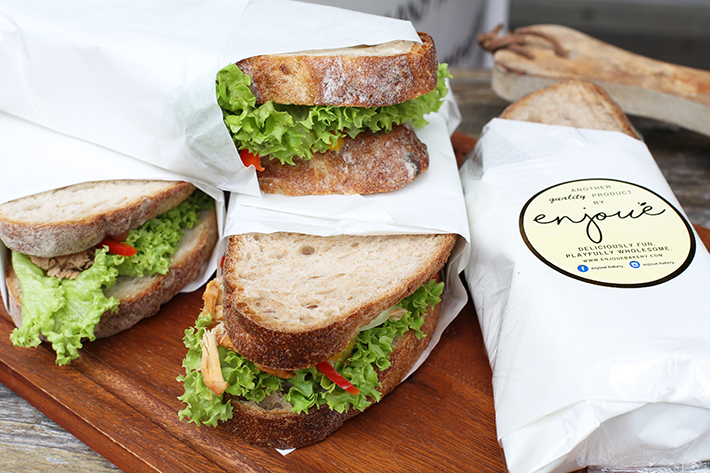 These gourmet sandwiches are available in Cold Storage at One-North (1 Fusionpolis Way #B2-03 Cold Storage @ One-North). 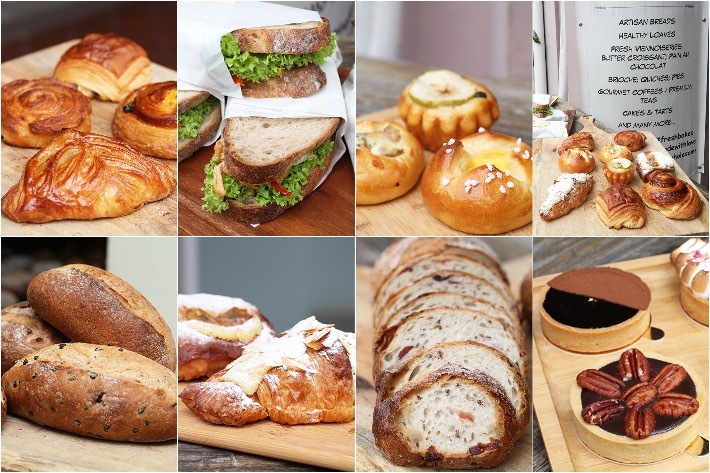 Other than the gourmet sandwiches, the One-North outlet also has a selection of breads and viennoiseries. For the love of all things flaky, buttery and golden, there are few things in the spectrum of artisanal bakes that can beat a good viennoiserie pastry. From the puff pastry itself that requires the careful manipulation of technique and time by a master baker to the filling that can neither be too profoundly flavoured nor excessively added, the work that goes into making just one is painstaking. Their viennoiserie pastries are all hand rolled daily, using only French sheet butter which has a higher butter content, resulting in a unique flakiness, and just like all their bakery offerings, no preservatives, unnatural ingredients, or artificial food colourings are used. Enjoué undoubtedly takes the cake (or in this case, bake) when it comes to croissants. Buttery and crunchy with a lovely hint of sweetness, these bad boys are a surefire way to put you in the right mood in the morning. Their croissants are made of a layered leavened dough they repeatedly layer with butter. The dough is then rolled, folded and rested several times until a multi-layered structure of dough and butter is formed—a tedious process nonetheless, but one that yields superb results. Light, airy, flaky and buttery all at the same, there are only so many places we know of that execute the humble croissant just right. This post is brought to you by Enjoué Bakery.